Me, while getting ready for bed: "I just realised that it's bin day tomorrow and I forgot to leave them out." My wife: "Well that's rubbish." She got me good with that one! When I browse GWJ I only post apocalyptically. And there's been no fallout from that? You lead a sheltered life, I think. If I'm roetgen my favorite posts, that's up there. I can never decide between dystopian or datopian. How about U? How does a Romulan frog hide? It uses its croaking device. What kind of forest animal can't see? I may have posted this many pages back but I usually tell that as the first of three jokes. What do you call a dear with no legs and no eyes? What do you get when you cross an elephant and a rhinoceros? Nope, those were "Veggie-saurus" and "Do-you-think-he-saurus"
What was the most fearsome dinosaur of the Metonym Era? I hope you're all ready! How do Penguins get around? Why are Penguins good racing car drivers? Because they are always in pole position! Why are Penguins hard to get along with? Because they are always fishing for compliments! 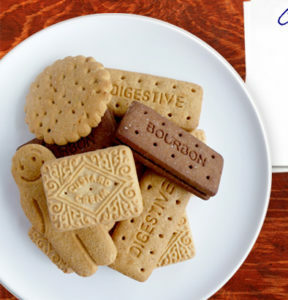 Probably anyone who doesn't use 'biscuit' with the British (and apparently Irish) meaning. 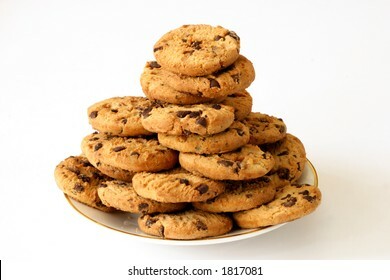 So biscuit (English) = cookie (American). So... apparently there is a biscuit/cookie called a Penguin? This is the absolute best telling of this joke I have ever come across. It's the fact that they have to explain it and the audience still doesn't get it that totally cracks me up. You should have seen the joke I chose not to include! Here's that context I mentioned before. Fun fact; Penguins come with (edit) high-quality penguin-themed-jokes on the back...but that has nothing to do with the jokes I posted yesterday so I don't know why I'm mentioning it. This only works if you're one of the heathens who mispronounces aunt. I have a fear of elevators. I take steps to avoid them. What do you call a racing snail who lost his shell? Penguins look a lot like Tim Tams. Please note: Although similar in appearance to Tim Tams, Penguins are objectively inferior to Tim Tams. I took out a loan to pay for an exorcism. If I don't pay it off I'm going to get repossessed. Then I became an IRS auditor, but it was too taxing. So I became a baker, but didn't make enough dough. After that I tried being a butcher, but I couldn't cut it. It was the wurst. Finally I became a locksmith, and that has opened so many doors!